Make sure you’re ready for the cold winter months with heating oil from Corporal Heating, LLC. Rest easy knowing that you’ll receive prompt and affordable oil delivery services you can count on throughout the season. To schedule an online delivery, please completely fill out the short form below, or give us a call at 203-488-8547 today if you have any questions. Corporal Heating, LLC makes it easy to order heating oil delivery throughout North Branford, Hamden, West Haven, Wallingford, Guilford, Madison, Clinton, East Haven, Old Saybrook, Woodbridge, Durham, Westbrook, and surrounding CT communities. Corporal Heating, LLC is standing by for all of your fast and affordable heating oil delivery needs! 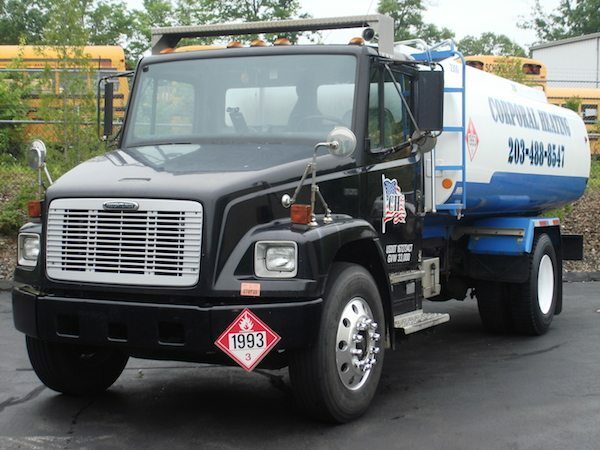 Established in August 2007, Corporal Heating, LLC is a family owned business providing reliable heating oil delivery services to the shoreline area, New Haven County, and parts of Middlesex county.